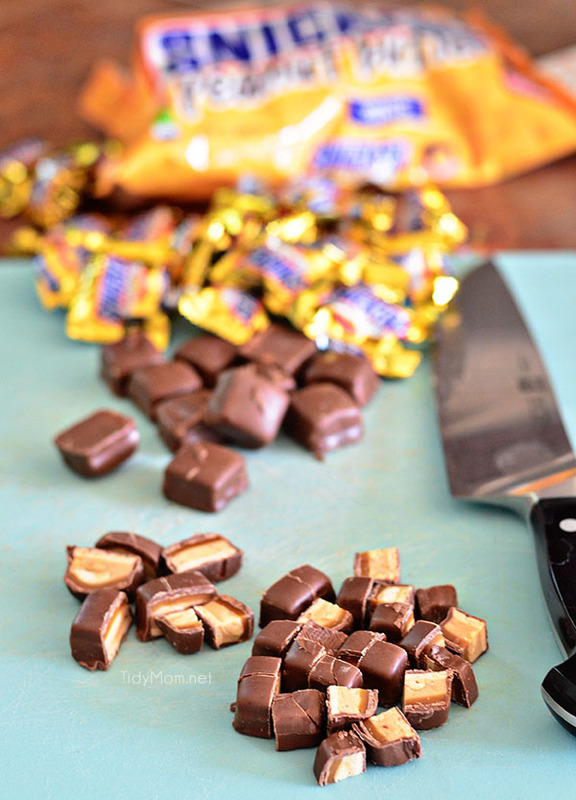 Peanut Butter Snickers. Peanut Butter Cheesecake. Brownies. Need I say more? 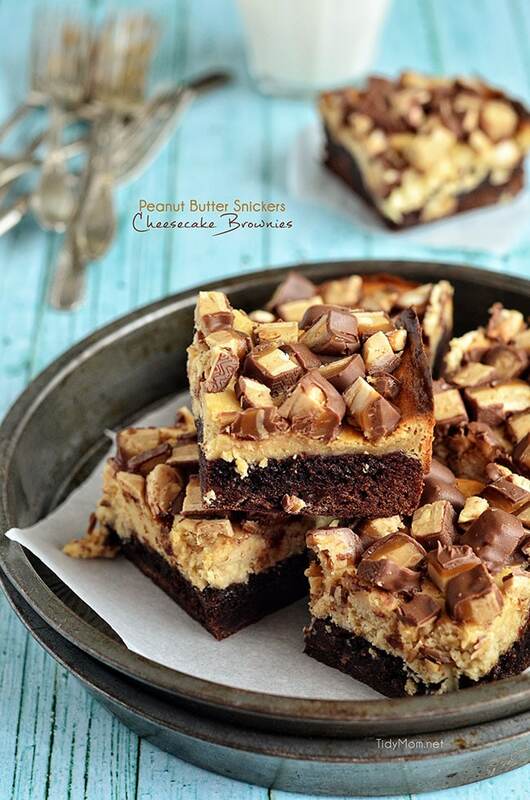 These Peanut Butter Snickers Cheesecake Brownies are rich, chocolatey and absolutely sinful. Just the way a brownie should be! Happy Monday! I hope you all had a wonderful weekend. We survived the graduation party! I think a good time was had by all, but I have to be honest……….I’m glad it’s over. Big parties are a LOT of work. I did give myself a lot of time and did a lot of planning,which really helped. If you follow me on Instagram or Facebook, you may have seen some of the fun details from the party and I’ll be sharing them here real soon. This sinful dessert needs a warning label, enjoyed by both kids and adults. There is chocolate and peanut butter. There is candy. And most importantly, there is cheesecake. Put them altogether in one treat and stand back…….it’s like a party in your mouth! I used my favorite, Ghirardelli Double Chocolate brownie mix for the bottom layer, but feel free to use your favorite fudgy brownie recipe if you wish. This recipes is really very simple, you just need to plan a little, because your brownies will need to cool completely in an ice bath* before you move on to the cheesecake layer. While the brownies bake for a bit I chopped up about 3/4 of a bag of fun size Peanut Butter Snickers, and whipped up the peanut butter cheesecake layer (full recipe below). Don’t skip the ice bath. According to Naomi, it makes a difference. The brownies do not come out as soft and tender if you bypass the ice bath. After they cooled, I poured the cheesecake batter over the brownies and placed them back in the oven to finish baking. When they come out of the oven the second time, let them cool down about 10-15 minutes and press the chopped candy bar pieces into the warm cheesecake layer! Place the pan in the refrigerator for a few hours to cool. When ready to serve, use the parchment paper to remove the brownies from the pan and cut into small servings and enjoy! Oh, and if you are trying to make sure you fit into a bathing suit right now, I’m sorry! I really am. 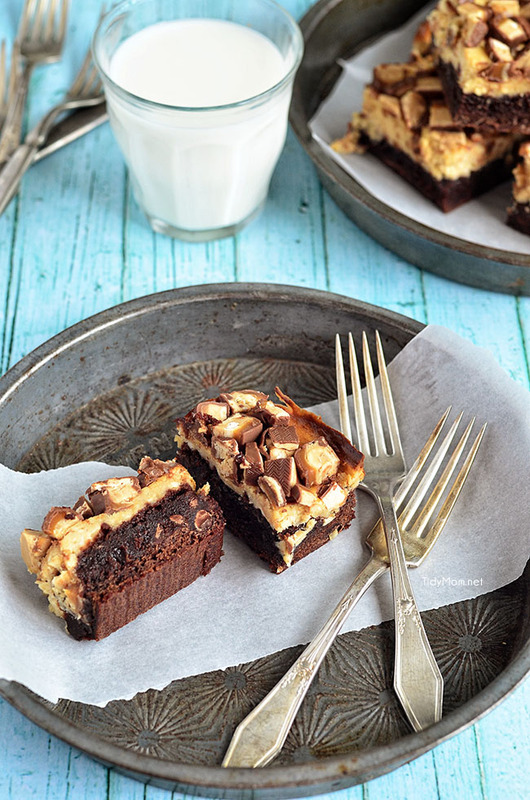 These Peanut Butter Snickers Cheesecake Brownies are rich, chocolatey and absolutely sinful. Just the way a brownie should be! Prepare brownie batter as directed on package; pour into prepared pan. Bake for 20 minutes, or until brownies start to pull away from the sides of pan. In the bowl of a stand mixer fitted with the paddle attachment, cream together the cream cheese and butter until fluffy, about 2-3 minutes. Mix in the egg, sugar, vanilla and salt on high for 2 minutes. Add peanut butter and mix on high for 2 minutes. Pour cheesecake layer over the cooled brownie layer, spreading it evenly and bake for another 20-25 minutes, or until set. 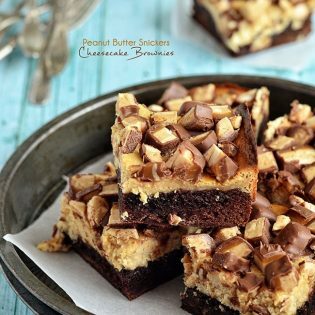 Remove from oven and let cool about 10-15 minutes until warm (you want cheesecake brownies warm, but not hot) press chopped peanut butter snickers into cheesecake layer. Cover and place in refrigerator at least 3 hours or over night. Remove brownies from pan by lifting parchment paper. Place on cutting board and cut into 9 servings. Store in refrigerator. *Don’t skip the ice bath. The brownies do not come out as soft and tender if you bypass the ice bath. 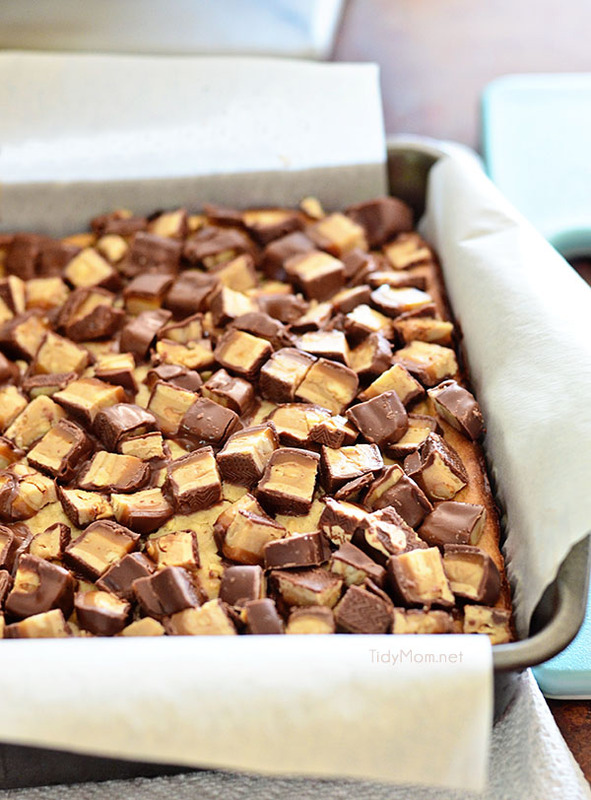 Like Peanut Butter Snickers Cheesecake Brownies? Pin it! So glad to hear your graduation party went well – congrats!! We had one graduation and one more to go – fun times but I am looking forward to just kicking back after all of this! 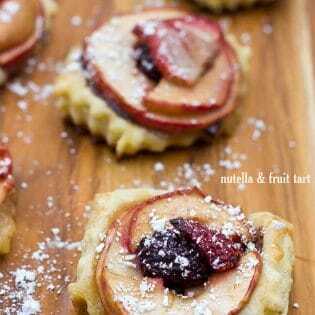 Such a fun, decadent recipe. Love your peanut butter twist. I’m a big Ghirardelli Double Chocolate brownie mix fan too. Oh my goodness Cheryl! I’d say this is a bikini killer even though I haven’t worn one for years!! I want to jump through my screen and gobble these up right now. These brownies are amazing Cheryl! Packed full of awesomeness 🙂 Pinned! Are you kidding me? OH MY WORD!!! Delicious! These brownies look fantastic, Cheryl! LOVE the cheesecake and snickers topping! Pinned! that looks amazing! Glad you had a great partay! This looks yummy. 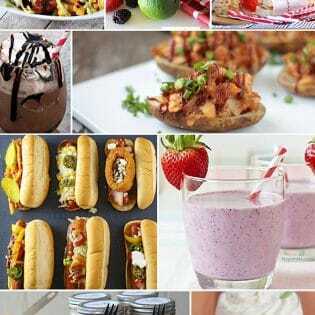 I don’t think I would want to share any of these if I made them. Pinning recipe for sure. Thanks! Ohhh, Snickers is my favourite chocolate bar everr! That recipe is mouthwatering, can’t wait to try it! Thanks! These look so amazing! Snickers is my favorite candy bar. pinned to try…you made me do it:) Have a great weekend. Why do you ccol the brownies on an ice before baking the cheesecake layer? Wouldn’t they cook faster on a warm brownie layer? nope, you want the brownies to cool completely before you put them back in the oven with the cheesecake layer. Hey!! Amazing looking recipe. I tried it though and it didn’t seem to work for me. The middle is really goopy but I cooked it as long as it said to cook it for. Followed the recipe to the T. Any suggestions?? oh I’m sorry it didn’t work for you – the only thing I can think of is maybe your oven is off a little, which is very common – so next time you might want to cook a little longer. Okay, awesome. I definitely will try it again!! I don’t know how I missed these the first time you posted them, but wow…what a gorgeous set of images and mouth watering recipe! Mine were impossible to cut. The brownies were like sticky fudge…box says to bake 40 min. and recipe says 20. Are they supposed to come out of oven and iced down before the brownies are completely done.. I have put them in the freezer thinking they might be easier to cut if they’re frozen. They were delicious, just hard to serve and eat. I’m not sure why they would be so hard. they go in the oven 2x: 20 mins for just the brownies, then another 20 mins with the cheesecake on top – for a total of 40 mins. Mine didn’t turn out at all. I baked exactly as it said, 20 minutes for brownies and then 20 minutes with cheesecake layer and the middle was so goopy I couldn’t even cut them after overnight in the fridge. Bummer.